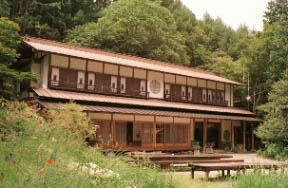 The lodge of a wooden structure which is absentminded. 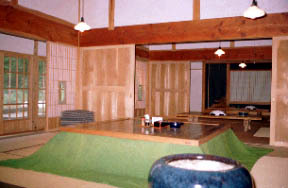 The kotatsu set in the floor and drawing room of unexperienced size. 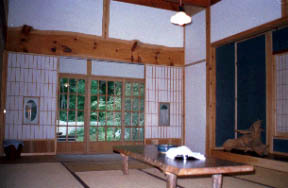 The guest room on the first floor of the main building. 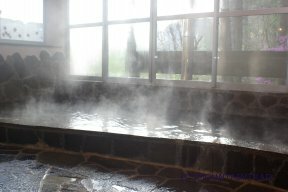 Hot water is the melanterite spring which contained iron so much. 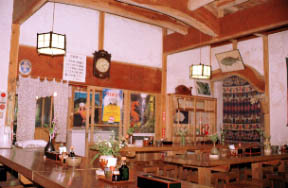 The restaurant established in the earthen floor.